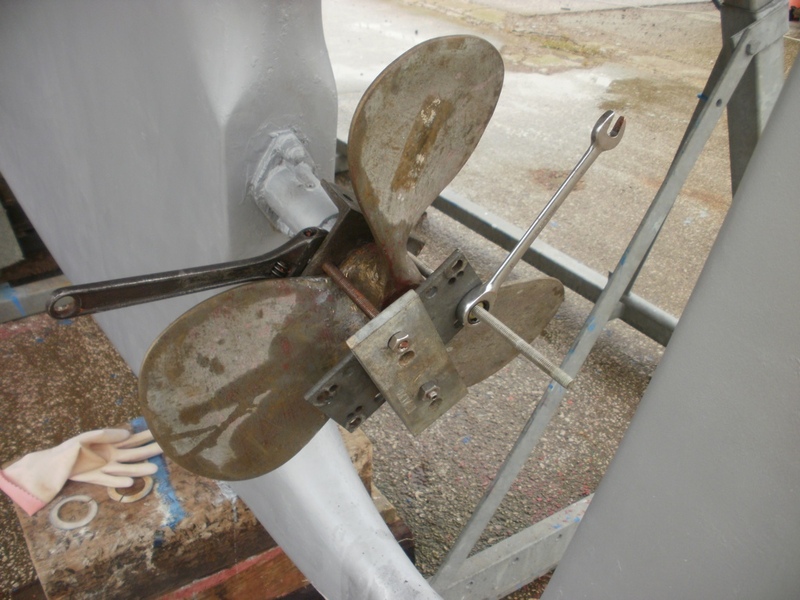 The large prop was very reluctant to come off by the usual methods and required a lot of help from a home made prop puller made from channel iron and aerial plates. After pulling up as tight as the bolts would go , a bit of heat from a blow land , the prop clicked and almost fell off. That is why we keep all the bits of metal etc known as junk in the garage!